This Full face fly mask combines the best protection against sun and insects. 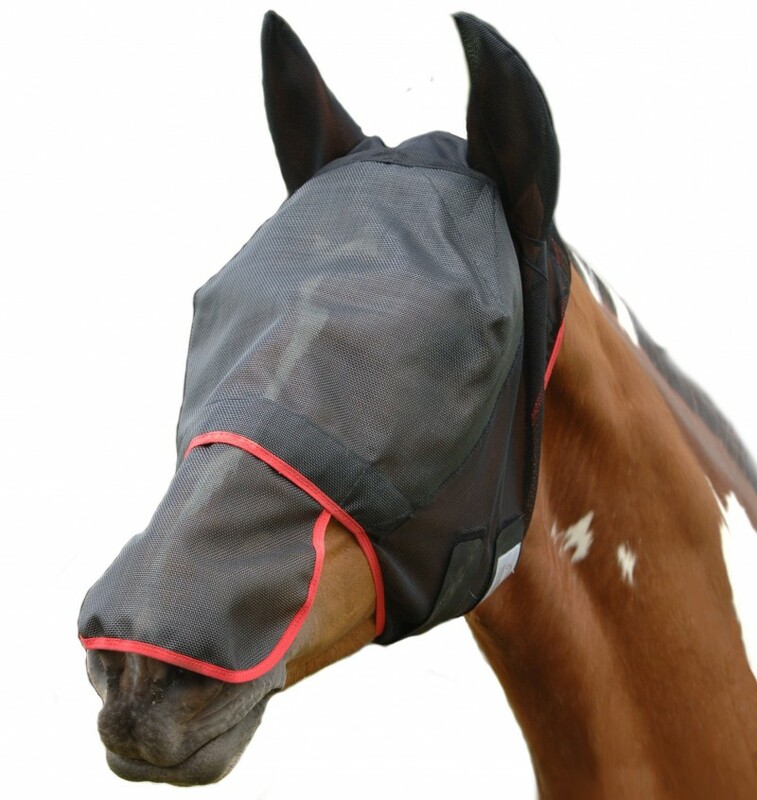 This fly mask has been carefully designed to give comfort to the horse whilst wearing. The mask provides up to 80% block form the suns rays to help prevent sunburn. The soft padding on the brow and nose band help to prevent rubbing. The nose piece is detachable. The design is long lasting and well fitting and is perfect for sensitive horses or those that live in a high midge and fly infested areas.